The following article will walk you through how to add the Project Related List to your page layouts so that you are able to view a list of projects within a record. For example, if you would like to be able to see projects related to an Account, then you would add the Project Related List to the Account object page layout. In the example below, we will be adding the Project Related List to an Account page layout. If you have added a custom lookup from Projects to any other object, then the same steps will apply for adding the Project Related List to your object page layouts. Navigate to Setup from the top right corner. 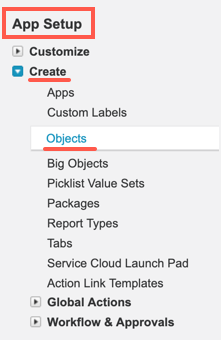 From the Setup page, select Object Manager and then click on your desired object (Account). Click on Page Layouts. Look for the page layout you wish to modify, click on the context arrow and select Edit. This opens the page layout editor. From the page editor click Related Lists, locate Projects and drag and drop it onto your desired area on the page. This opens the Related List Properties - Projects dialog box. 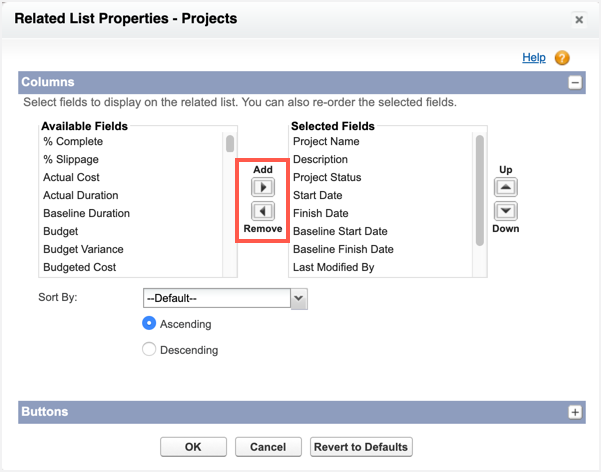 Here is where you can select the fields that will appear as columns within the Project Related List. Select the fields you wish to add or remove and use the Add/Remove buttons to move them. Click OK and then Save your page layout. 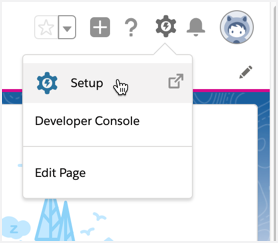 In the Setup page, navigate to the Salesforce object where you would like to add the Projects related list. 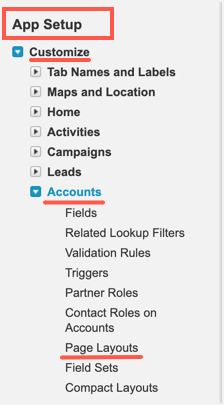 If you are updating a standard Salesforce object such as Account, then scroll to App Setup and expand Customize. Locate the object from the list. If you are updating a custom object, then scroll to App Setup and expand Create. Then click on Objects. The page on the right will display a list of custom objects. Locate your custom object and click on it. The page to the right will display all the available page layouts for the object. Click on Edit beside the page layout you would like to modify. If updating a custom object, then select your desired object and then scroll down to the Page Layouts section and click Edit on your page layout. From the page editor, click on Related Lists and then locate Projects and drag and drop it onto your desired area on the page. Scroll down until you reach the Projects section, and click on the Wrench icon.